It’s been 30 years since the Chernobyl accident, and on cue, the media resurrects the disaster to revive fear of radiation. USA Today did a story on Chernobyl on its anniversary emphasizing death and destruction, with little regard to how few people were actually killed and how few have died from Thyroid cancer, given that the radiation was widespread and that there was a lack of potassium iodine tablets to mitigate the effect of radiation. An AP story emphasized that the soil was poisoned by radiation, though animals thrive in the so-called exclusion zone, and older people, who have returned to their homes, live with little, if any threat, from radiation. As mentioned in an earlier article on Chernobyl, the following data on radiation debunks the fear mongers at USA Today, the AP, the Sierra Club, etc. Compare these measurements with Ramsar, Iran, where natural radiation doses reach 400 mSv/year, and in Brazil and Southern France where they reach 700 mSv/year. Average worldwide level is 2.4 mSv/year. Clearly, the low doses caused by the hydrogen explosion and fire at Chernobyl are tiny compared with natural radiation doses in many, if not most, parts of the world, e.g., northern Norway 11mSv/year and 4.7 mSv/year at New York City’s Grand Central Station. It should be noted that radiation today, two and one-half miles from the Chernobyl reactor, have been measured at 2.5 mSv/year, which is near the average worldwide level. Chernobyl was the worst accident at a nuclear power plant and it killed 51 of the early responders in a short time. Subsequently, there have been reports of 6,000 thyroid cancers, but very few additional deaths. The AP article emphasized psychological health effects, and regurgitated unsubstantiated claims of 6,000 deaths. 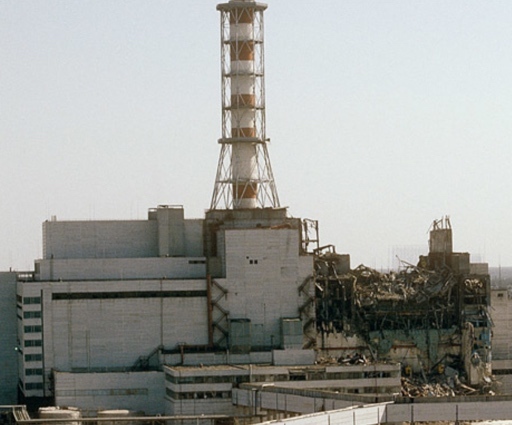 No U.S. reactor, and no modern reactor in the world, has conditions similar to those that created the Chernobyl disaster, which precludes this type of accident from ever happening again. The United Nations Scientific Committee on the Effect of Atomic Radiation (UNSCEAR) has reported extensively on Chernobyl and they have identified the actual number of deaths at around 51 of the first responders and very few deaths from cancer. UNSCEAR reports are readily available on-line. The left-leaning Hollywood with its movie the China Syndrome added to the panic and fear after the Three Mile Island accident. All of which was pure nonsense intended to create fear of nuclear power. Any meltdown, such as occurred at Three Mile Island and at Fukushima, is caught on a very thick, typically a fourteen-foot-thick concrete floor inside the containment structure, which prevents the melted core from escaping to the atmosphere or into the ground below the reactor. The China Syndrome was pure fantasy. These groups, including such organizations as the Union of Concerned Scientists and the Rocky Mountain Institute, are killing nuclear power in the United States. It appears as though these groups will use any device or any event to spread fear about radiation. The Chernobyl anniversary was such an event. Fukushima’s anniversary will provide them with another opportunity to spread fear by ignoring the facts about how few were affected by radiation. Nothing to Fear, Appendix, explains why nuclear power is dying in the United States. © Power For USA, 2010 – 2016. 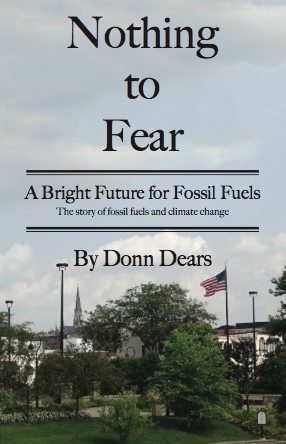 Unauthorized use and/or duplication of this material without express and written permission from this blog’s author, Donn Dears LLC, is strictly prohibited. Excerpts and links may be used, provided that full and clear credit is given to Power For USA with appropriate and specific direction to the original content. Weekly Climate and Energy News Roundup #225 | Watts Up With That?